There can never be too much kindness on a school campus! 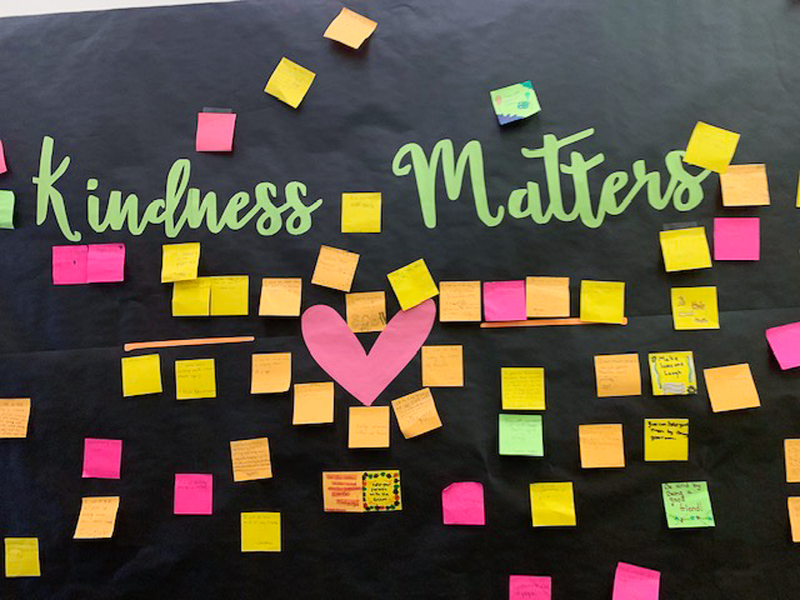 During January, Travis Ranch Middle School celebrated kindness with lessons and special events sprinkled throughout the month. Every Wednesday, students participated in a homeroom lesson which focused on random acts of kindness, intentional kindness, and appreciation. 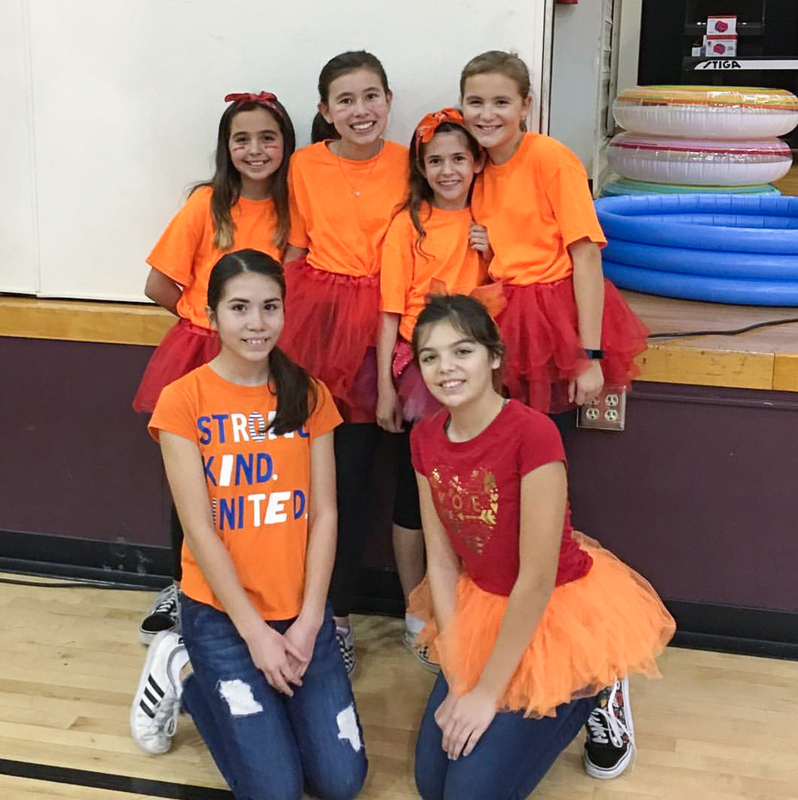 “Our ASB class organized a Spirit Rally, offered lunch time activities, moved our lunch tables into a large circle with a center dance floor for two ‘No One Sits Alone’ lunches, and brought in the Power of One Anti-Bully Assembly,” Principal Susan Metcalf mentioned. 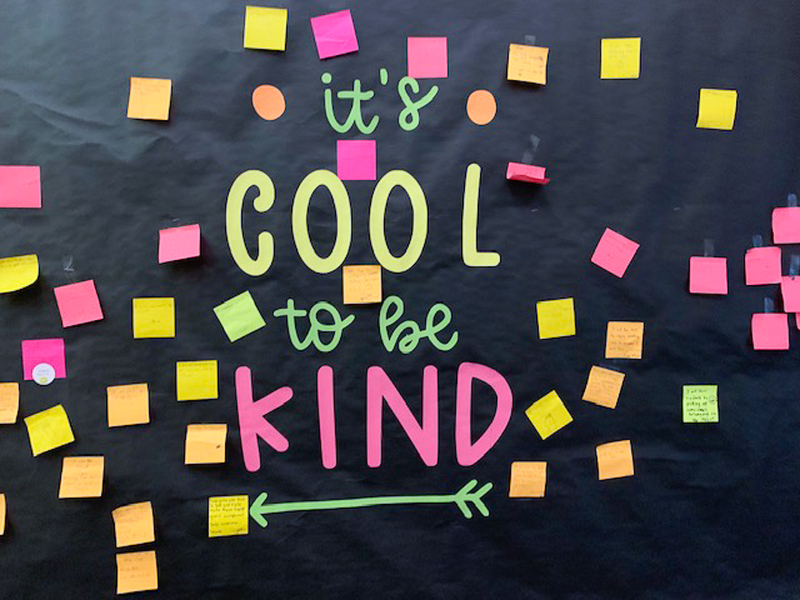 Throughout the month, students were seen delivering kindness notes to staff members, being inclusive with new friends, posting notes of appreciation to a “Spread Kindness Like Confetti” wall, and challenging themselves to daily Acts of Kindness. The last week of January, elementary students participated in “Be Kind Week.” Through announcements, students were reminded each morning of the focus of the day and special activities. At lunch, students could be seen offering compliments to each other. “Our fourth graders made “Take One” kindness themed posters so students could write compliments of their peers, thank yous to staff, and positive notes that they publicly posted for all to see,” Metcalf said. Students also enjoyed an assembly called “Bye Bye Bully,” that was sponsored by the school’s PTA. The week culminated with big buddy, little buddy projects throughout all grade levels. “Travis Ranch is full of kind and caring students!” Metcalf shared. 1 Comment on "Travis Ranch School spreads kindness across campus"
Kindness month was really great. It was nice to see the students making positive messages to each other and people on campus. We were able to send kindness certificates out to staff also.